GIZEH 29° 58′ 44,5″ N, 31° 8′ 2,5″ O EGYPT Pyramids of Cheops ? BABYLON 32° 32′ 30″ N, 44° 25′ 24″ O IRAQ Gardens of Semiramis ? By clicking on the small image thumbs, you get to the first of several regional volcano maps, as part of my world volcano map project. These regional maps enhance some regions, those are so densely populated with volcanoes, that the great map cannot display them well enough. The following regional maps are planned for 2011: Indonesia, Chile, Japan. Please be patient. This map was the first one others will follow soon. Its much works and much must be tested and later be improved many times! How to use: (1) Each volcano has a number at its location on the map. (2) With that numbers of the volcano you can easily find the volcanoes name in either one of the associated registers. ( 3) register one is consisting out of Di-labels you find around in te map itself: just click on the name and you will be linked to the website of the Smithsonian institute/ USGS ( world volcanism program) where you find all kinds of informations related to that specific volcano. (4) register is another register ( a so called " collapsible panel"): just have to click on the tab " find with " Google Earth" and the register card will open. (it can be closed in the same way just by clicking in the tab). This "register card" als has a complete name list of all volcanoes on that map. Clicking on one of these names will open your Google Earth program and Google Earth will automatically navigate exacly to the longitudes and latitudes of that volcano, and you can see it on the realistic Google maps. Google Earth has some very nice good pictures and 3 D displays of many volcanoes" JUst enjoy! ( note: For this feature you need to have installed the freeware program "Google Earth first- You find a direct download link which leads to the original Google Earth website also in the register card!= no problem! About NYAMURAGIRA ( geologica summary by Smithsonian institute/USGS: Africa's most active volcano, Nyamuragira (Also spelled Nyamulagira) is a massive basaltic shield volcano N of Lake Kivu and NW of Nyiragongo volcano. Lava flows from Nyamuragira cover 1,500 sq km of the East African Rift. The 3058-m-high summit is truncated by a small 2 x 2.3 km summit caldera that has walls up to about 100 m high. About 40 historical eruptions have occurred since the mid-19th century within the summit caldera and from numerous fissures and cinder cones on the volcano's flanks. A lava lake in the summit crater, active since at least 1921, drained in 1938. Twentieth-century flank lava flows extend more than 30 km from the summit, reaching as far as Lake Kivu. According to NASA's Earth Observatory, a satellite image acquired on 29 January showed a gas-and-steam plume rising from Nyamuragira. 2013 JULY- 29 AUG- 06? According to NASA's Earth Observatory, a satellite image acquired on 29 July showed a dense, white plume rising from Nyamuragira likely consisting of large amounts of water vapor. 2012 JAN- 03 JAN- 31? Satellite imagery acquired on 3 January from the Advanced Land Imager (ALI) on NASA's EO-1 satellite showed an active lava flow to the NE of the central vent over the fissure located 11-12 km ENE of Nyamuragira's main crater. A sulfur dioxide-rich plume was also detected. 2011 NOV- 06 NOV- 15? Virunga National Park reported that on 6 November a fissure eruption from Nyamuragira began low on the flank, producing slow-moving lava flows that traveled into unpopulated areas to the N. The eruption was clearly observed from the park headquarters. Video posted on the park's website showed a fissure eruption with lava fountains. ABOUT NYIRAGONGO- : / geologic summary by Smithsonian Instuitute/ USGS:One of Africa's most notable volcanoes, Nyiragongo contained an active lava lake in its deep summit crater that drained catastrophically through its outer flanks in 1977. In contrast to the low profile of its neighboring shield volcano, Nyamuragira, Nyiragongo displays the steep slopes of a stratovolcano. Benches in the steep-walled, 1.2-km-wide summit crater mark the levels of former lava lakes, which have been observed since the late 19th century. About 100 parasitic cones are located on the volcano's flanks and along a NE-SW zone extending as far as Lake Kivu. Monitoring is done from a small observatory building located in Goma, ~18 km S of the Nyiragongo crater. *unknown means only: there was no further report by GVP. 2013 JULY 29 AUG- 06? According to NASA's Earth Observatory, a satellite image of Nyiragongo acquired on 29 July showed a red glow coming from the active lava lake in the summit crater. A diffuse blue plume drifted N.
2012 NOV- 01 NOV- 06? The Toulouse VAAC reported that, according to a Volcano Observatory Notices for Aviation (VONA) issued by the Goma Volcano Observatory, a gas plume composed mostly of sulfur dioxide rose from Nyiragongo on 1 November. 2011 NOV- 15 Nov- 22? According to NASA's Earth Observatory, a satellite image of Nyiragongo acquired on 15 November showed heat coming from the active lava lake in the summit crater. About JEBEL ZUBAIR ( geological summary by Smithsonian institute/USGS: The 5-km-long Jebel Zubair Island is the largest of a group of 10 small islands and submerged shoals that rise from a shallow platform in the Red Sea rift. The platform and eruptive vents forming the islands and shoals are oriented NNW-SSE, parallel to the rift. An early explosive phase was followed by a brief period of marine erosion, and then by renewed explosive activity accompanied by the extrusion of basaltic pahoehoe lava flows. This latest phase of activity occurred on the morphologically youngest islands of Zubair, Centre Peak, Saba, and Haycock. Historical explosive activity was reported from Saddle Island in the 19th century. Spatter cones and pyroclastic cones were erupted along fissures that form the low spine of Zubair Island. JAN- 07- 2012 Jan- 17? DEC-19 - 2011 DEC- 27 ? About CAMEROON ( geological summary by Smithsonian institute/USGS:Mount Cameroon, one of Africa's largest volcanoes, rises to 4095 m above the coast of west Cameroon. The massive steep-sided volcano of dominantly basaltic-to-trachybasaltic composition forms a volcanic horst constructed above a basement of Precambrian metamorphic rocks covered with Cretaceous to Quaternary sediments. More than 100 small cinder cones, often fissure-controlled parallel to the long axis of the massive 1400 cu km volcano, occur on the flanks and surrounding lowlands. A large satellitic peak, Etinde (also known as Little Cameroon), is located on the southern flank near the coast. Historical activity, the most frequent of west African volcanoes, was first observed in the 5th century BC by the Carthaginian navigator Hannon. During historical time, moderate explosive and effusive eruptions have occurred from both summit and flank vents. A 1922 SW-flank eruption produced a lava flow that reached the Atlantic coast, and a lava flow from a 1999 south-flank eruption stopped only 200 m from the sea. 2012 FEB- 04 FEB- 07? About KARTHALA (geologica summary by Smithsonian institute/USGS: The southernmost and largest of the two shield volcanoes forming Grand Comore Island (also known as Ngazidja Island), Karthala contains a 3 x 4 km summit caldera generated by repeated collapse. Elongated rift zones extend to the NNW and SE from the summit of the Hawaiian-style basaltic shield, which has an asymmetrical profile that is steeper to the south. The lower SE rift zone forms the Massif du Badjini, a peninsula at the SE tip of the island. Historical eruptions have modified the morphology of the compound, irregular summit caldera. More than twenty eruptions have been recorded since the 19th century from both summit and flank vents. Many lava flows have reached the sea on both sides of the island, including during many 19th-century eruptions from the summit caldera and vents on the northern and southern flanks. An 1860 lava flow from the summit caldera traveled ~13 km to the NW, reaching the western coast north of the capital city of Moroni. MAY- 09- 2012 MAY- 22? About HEARD (geologica summary by Smithsonian institute/USGS: Heard Island on the Kerguelen Plateau in the southern Indian Ocean consists primarily of the emergent portion of two volcanic structures. The large glacier-covered composite basaltic-to-trachytic cone of Big Ben comprises most of the island, and the smaller Mt. 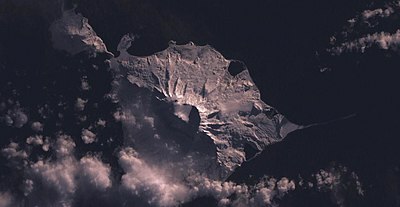 Dixon volcano lies at the NW tip of the island across a narrow isthmus. Little is known about the structure of Big Ben volcano because of its extensive ice cover. The historically active Mawson Peak forms the island's 2745-m high point and lies within a 5-6 km wide caldera breached to the SW side of Big Ben. Small satellitic scoria cones are mostly located on the northern coast. Several subglacial eruptions have been reported in historical time at this isolated volcano, but observations are infrequent and additional activity may have occurred. SEP- 21- 2012 OCT- 31? ABOUT DUBBI: / geologic summary by Smithsonian Instuitute/ USGS:Dubbi, located east of the Erta Ale Range and south of the crystalline basement rocks of the Danakil Alps, is a large volcanic massif that rises to 1625 m above the western shore of the Red Sea. About 20 small cinder cones are located at the summit, and extensive basaltic lava fields to the north and NE, known as the Edd lava field, cover an area of 2700 sq km and reach the Red Sea coast. The two most-recent eruptive centers are fissure systems that extend NW-SE and NNE-SSW. The former produced lava flows that reached the Red Sea in 1400 AD. The second created 19 small craters at the summit in 1861. Ash fell more than 300 km from the volcano. Two villages were destroyed and more than 100 persons were killed during Africa's largest eruption in historical time. Lava flows from the 1861 eruption traveled as far as 22 km and reached the coast. for June 13 eruption: open register card for " NEBRO"
On June- 12 and 13 a serial of Earthquakes between 4.2 and 5.6 occured near to the volcanoes 49 and 60, indicating an eruption to come soon. Africa is probably the continent in the world with the lowest seismic activities. IN General not much is known about how long and intensive any volcano eruption might be. The outbreak was first believed to come from the Dubbi volcano, Menahile this report tunred iobviously out to be wrong. The eruption so scientists on June 13 irigined in real at the nearby NABRO volcano- a volcano which was dormant since 11.000 years. ABOUT NABRO: / geologic summary by Smithsonian Instuitute/ USGS:The 2218-m-high Nabro stratovolcano is the highest volcano in the Danakil depression of northern Ethiopia and Eritrea. Located at the SE end of the Danakil Alps, Nabro lies in the Danakil horst. Nabro is the most prominent and NE-most of three volcanoes with large summit calderas aligned in a NE-SW direction SW of Dubbi volcano. These three volcanoes, along with Sork Ale volcano, collectively comprise the Bidu volcanic complex. The complex Nabro stratovolcano is truncated by nested calderas, 8 and 5 km in diameter. The larger caldera is widely breached to the SW. Nabro was constructed primarily of trachytic lava flows and pyroclastics. Post-caldera rhyolitic obsidian domes and basaltic lava flows were erupted inside the caldera and on its flanks. Some very recent lava flows were erupted from NNW-trending fissures transverse to the trend of the Nabro volcanic range. SEP- 28- 2011 OCT- 04? An eruption from Nabro that started on 12 June continued to produce a plume. Based on analyses of satellite imagery, the Toulouse VAAC reported that during 15-20 June plumes comprised mostly of water and sulfur dioxide rose to altitudes of 6.1-7.9 km (20,000-26,000 ft) a.s.l. Ash was occasionally detected near the volcano. 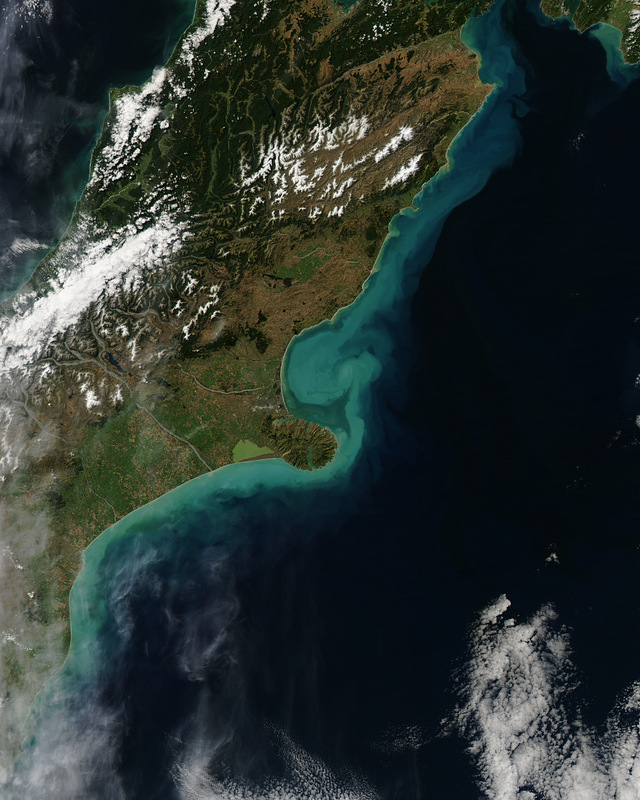 Satellite imagery posted on MODIS Web showed a dark brown ash plume fanning out to the SW on 19 June. A thermal satellite image acquired at night on 19 June revealed a 15-km-long lava flow that had traveled NW. A high-altitude plume, likely rich in water vapor, rose from the erupting vents and a diffuse ash-rich plume drifted SW. News articles stated that ash had covered a well-known mine that produces edible salt, and had contaminated food and water sources. During 15-16 June several airlines cancelled some domestic and international flights, including in and out of Addis Abeba (Ethiopia), neighboring Djibouti, and Khartoum (Sudan). According to the USGS Earthquake Hazards Program, an earthquake swarm was detected during the evening of 12 June on the border of Ethiopia and Eritrea, in the vicinity of Nabro, the most prominent of three volcanoes with large summit calderas aligned in a NE-SW direction SW of Dubbi volcano. The swarm began at 1837 with an M 5.1 earthquake. Several more were detected between M 4.3 and 5.1 over the next few hours. Two M 5.7 earthquakes at depths of 10.1 km and 9.9 km were detected at 2332 on 12 June and 0003 on 13 June, respectively. The Toulouse VAAC reported that an eruption from Nabro (originally attributed to Dubbi) started between 0000 and 0200 on 13 June. An eruption plume initially rose to altitudes of 9.1-13.7 km (30,000-45,000 ft) a.s.l. then was later detected at altitudes of 6.1-10.7 km (20,000-35,000 ft) a.s.l. during 13-14 June. According to the Eritrean Ministry of Information, ashfall covered hundreds of kilometers and the government evacuated area residents. Witnesses noted that the eruption had started at about 2100 on 13 June. Satellite images that same day showed the plume drifting more than 1,000 km NW, over parts of Sudan. On 14 June a detached ash cloud was detected over southern Israel according to news articles. A plume from Nabro was not obvious on satellite imagery. from wikipedia: The Afar Depression is the product of a tectonic triple junction (the Afar Triple Junction), where the spreading ridges that form the Red Sea and the Gulf of Aden emerge on land and meet the East African Rift. The central meeting place for these three pieces of Earth's crust is around Lake Abbe. The Afar Depression is one of two places on Earth where a mid-ocean ridge can be studied on land, the other being Iceland. In the Depression, the Earth's crust is slowly rifting apart at a rate of 1–2 centimetres (0.3–0.8 in) per year along each of the three rifts which form the "legs" of the triple junction. The immediate consequence of this is that there are (as of late 2005) a continuous sequence of earthquakes, fissures hundreds of metres long and deep appearing in the ground, and the valley floor sinking as much as 100 metres. The spreading speed of the tectonic plates in the Afar triangle has meanwhile- since 2005 continously accelerated from just some millimeters per year to meters and more. the eruptions of the volcanoes ERTE ALE /( 2010) and NABRA ( June- 2011) are part of that activity which splits these parts of the African plate apart from Ethiopia down to Mosambique.